1. Which word used to describe someone who is skillfull means, when translated, 'to the right'? 2. What 'o'clock' is it in each of the following songs? 3. 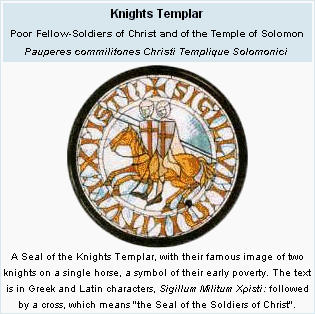 What was depicted on the seal of the Knights Templars? 4. With one word complete the following Acme Corporation inventions in The Roadrunner. 5. What was the name given to the first nuclear test in the USA on the 16th of July 1945? 6. Leonidas da Silva and Ramon Unzaga are just two of the many men who have been credited with which spectacular sporting invention? 7. Which two semaphoric letters are found on the famous anti war peace symbol from the 1960's ? 8. According to legend, who rewarded a man for his loyalty by giving him the secret recipe for Drambuie? 9. Like other coastal regions in the area, what was the coast of Florida called in the 16th century? 10. The United States, Australia, GB and France dominated the Davis Cup until 1974. India reached the final that year but refused to play the eventual winner. Which country won the 'ugliest salad bowl in the world' in 1974 and finally broke the big fours dominance? a. six o'clock - "six o'clock already"
b. five o'clock - "Wednesday morning at five o'clock"
c. one o'clock - "It's one o'clock and time for lunch"
3. Two knights riding on one horse.The Poor Fellow-Soldiers of Christ and of the Temple of Solomon (Latin: Pauperes commilitones Christi Templique Solomonici), commonly known as the Knights Templar or the Order of the Temple (French: Ordre du Temple or Templiers), were among the most famous of the Western Christian military orders. The organization existed for approximately two centuries in the Middle Ages, founded in the aftermath of the First Crusade of 1096, with its original purpose to ensure the safety of the many Christians who made the pilgrimage to Jerusalem after its conquest. 5. Trinity Trinity was the first test of technology for a nuclear weapon. It was conducted by the United States on July 16, 1945, at a location 35 miles (56 km) southeast of Socorro, New Mexico, on what is now White Sands Missile Range, headquartered near Alamogordo. Trinity was a test of an implosion-design plutonium bomb. The Fat Man bomb, using the same conceptual design, was dropped on Nagasaki, Japan, on August 9th. The Trinity detonation was equivalent to the explosion of around 20 kilotons of TNT and is usually considered the beginning of the Atomic Age. 6. The bicycle kick in football or soccer. 7. N and D. Nuclear Disarmament. 9. 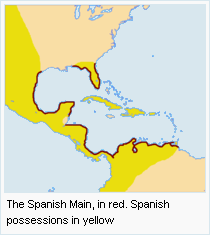 The Spanish Main The Spanish Main was the mainland coast of the Spanish Empire around the Caribbean. The mainland of which was initially called "Spanish America" (thus, "Spanish Main"), it included Florida, Mexico, Central America and the north coast of South America. In time it became a general term for the seaways around the Spanish possessions in the Caribbean. From the 16th to the 18th century the Spanish Main was the point of departure for enormous wealth in the form of gold, silver, gems, spices, hardwoods, hides and other riches. Major loading ports were Cartagena de Indias in New Granada, Porto Bello on the Isthmus of Darien and Veracruz in New Spain (with wares brought by the Manila Galleons transported overland from Acapulco), and from there they were shipped to Spain by the famous Spanish treasure fleets. This made the Spanish Main a haunt of pirates and privateers, and gave the name a notorious and romantic allure.